If you want to know all there is to know about custom publishing, make sure to contact the Custom Publishing Institute. And make sure to document your custom publishing strategy. “Custom publishing” doesn’t have the same ring to it as, say, content marketing, does it? But we would still be using that clumsy term if not for the author of this month’s Marketing Book Worth a Look: Joe Pulizzi. As the Founder of Content Marketing Institute, Joe not only helped coin the term “content marketing;” he worked to define what it is and how to do it ethically and effectively. Joe has seen the power of excellent content firsthand. He built Content Marketing Institute (CMI) with content, first attracting an audience, then striving to understand them, and finally offering a product that fit their needs. It was a strategy that turned conventional business thinking on its head, and one that paid off in a huge way. In Joe’s new book, he pulls back the curtain on CMI’s success, providing a blueprint for creating your own content-based business. If you want to see just how far quality content can take you, read Content Inc. and get inspired. In the past few years, Joe and his team have built Content Marketing Institute from a content hub into a marketing powerhouse. 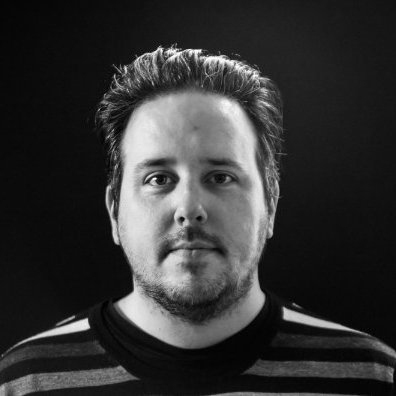 Joe turned his passion for great content into a multimedia empire including blogs, podcasts, certification courses, and Content Marketing World, a convention with over 200 speakers and 3500 attendees last year. It’s hard to imagine anyone more qualified to write a guide for building a business through content. Why Joe Wrote Content Inc. So rather than just tell the corporate story, Joe and his team searched for other content marketing success stories. 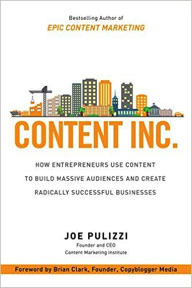 Content Inc. distills Joe’s content marketing philosophy into a proven blueprint for a new kind of business. It’s an intriguing look under the hood of a massive marketing enterprise, both inspiring and informative, infused with Joe’s passion and expertise from page one. For your daily dose of marketing insight, subscribe to the LinkedIn Marketing Solutions blog.